This unique Palo Alto Eichler house is a model for urban farming on a standard 1/4 acre or small city lot. This coop stop has all the great items of an efficient urban farm with chickens and a coop, vegetable gardens and bounty of fruit trees. But due to the flat roof of their Eichler house, it turns their roof top into the perfect bee hive area. 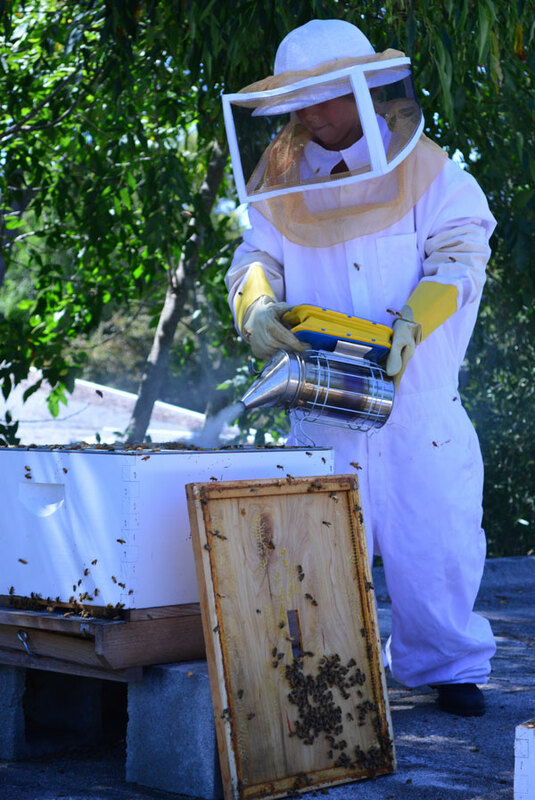 They currently have 3 active hives on their roof and space for many more! 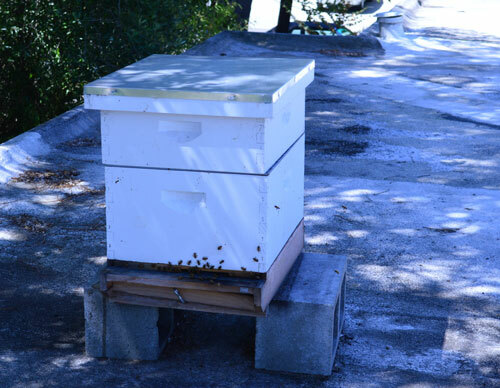 Roof tops turn out to the perfect place to place bees as they make a “bee line” when coming or going from the hive. When placing a hive, you DO NOT want to place the hive entrance at ground level and entrance facing where you pass as the bees will always cross your path and will bump into you! On the roof, they are well above your normal flow of walking and working in the yard, and it is often warmer on the roof that they also like. Just when you thought bees were out, think again if you have a flat roof! 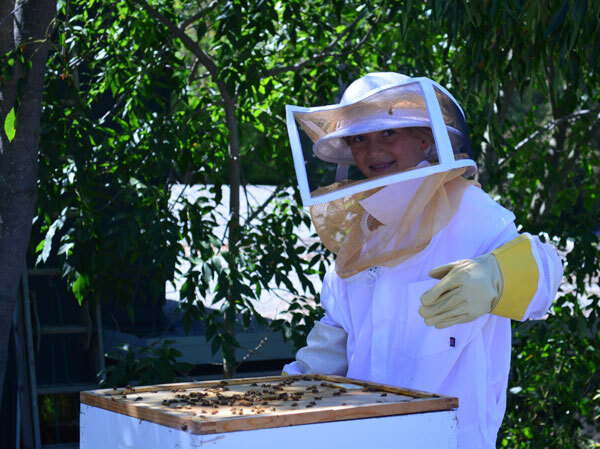 At this coop stop, their youngest daughter Gabby is the master bee keeper in the family. She will be on-hand to show you a hive and master bee keeping techniques at ground level without bees in them!